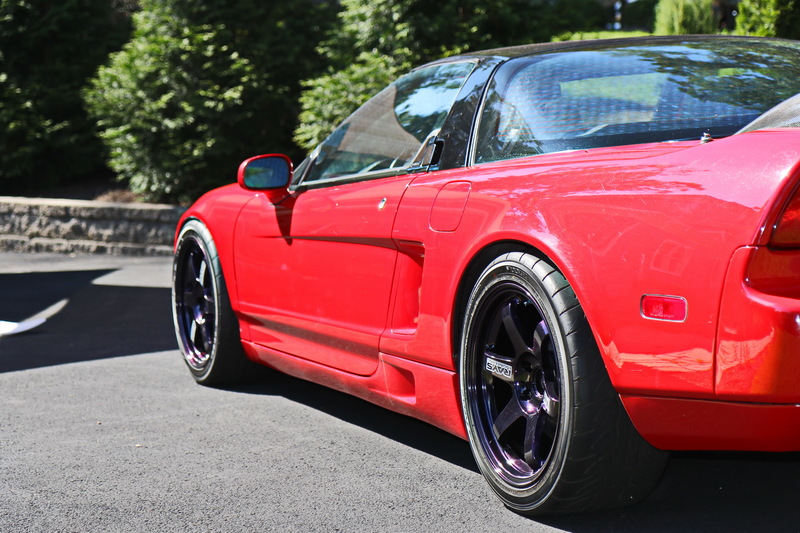 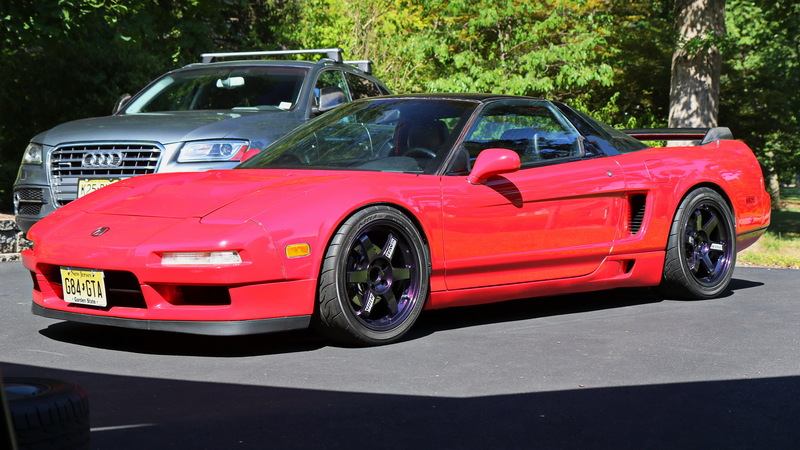 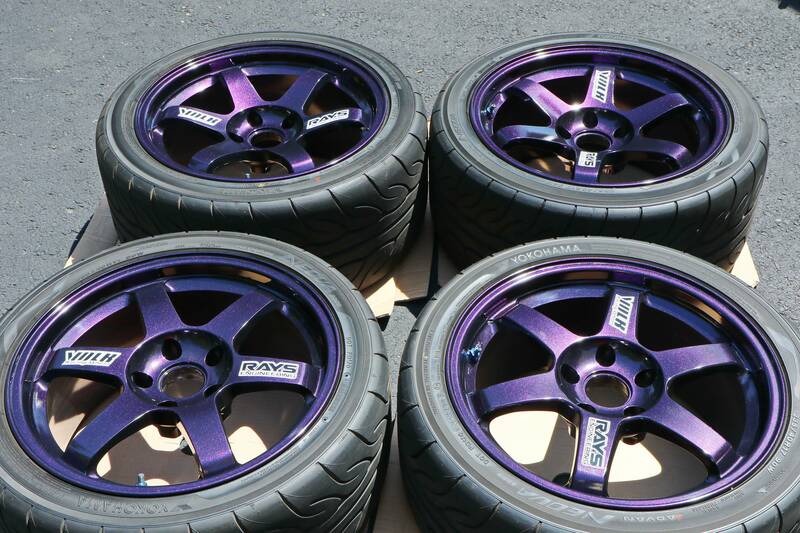 Candy purple TE37s in great condition. 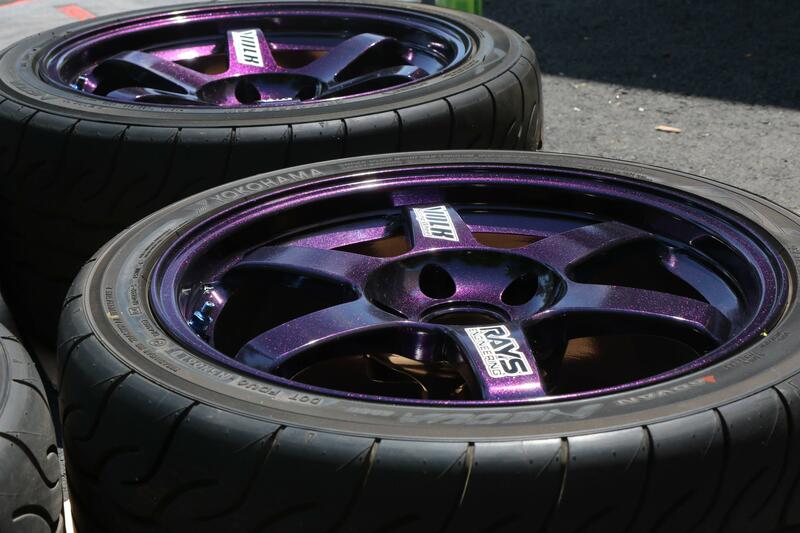 Fits S2K and NSX. 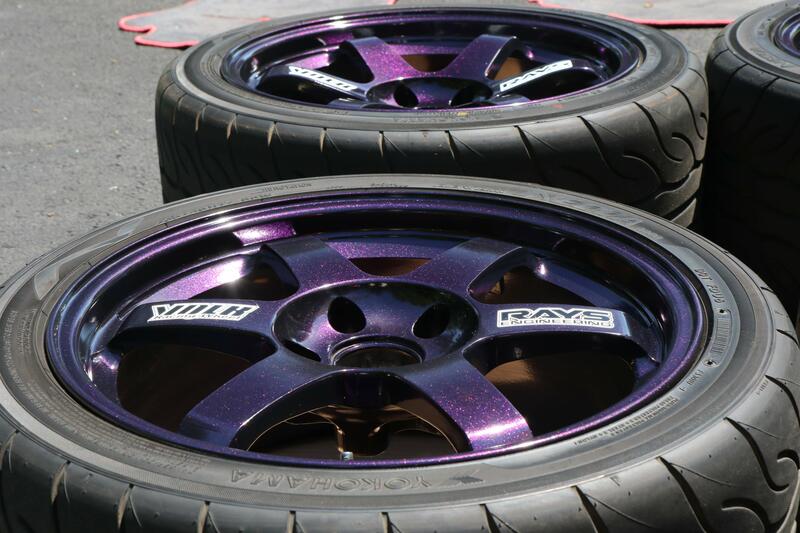 Purple Power Wheel Cleaner review.